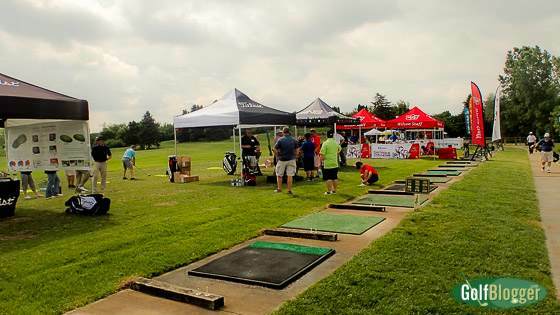 On Saturday, I spent a happy couple of hours at a demo day sponsored by my local pro shop, Miles of Golf. 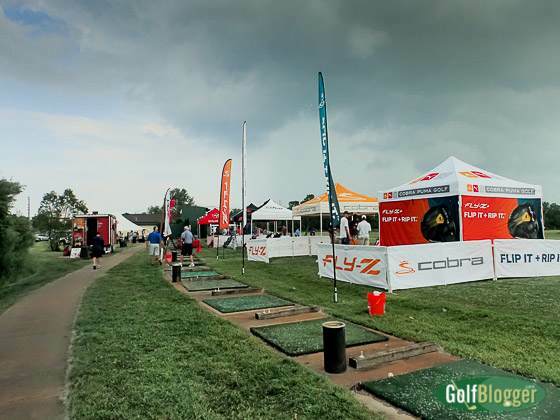 The event featured representatives of all the major manufacturers, who set up pavilions where golfers could test the latest wares. Marked present were Adams, Callaway, Cleveland, Cobra, Nike, Ping, TaylorMade, Titleist, Tour Edge and Wilson. I started the day by participating in the Wilson Golf D200 distance challenge. 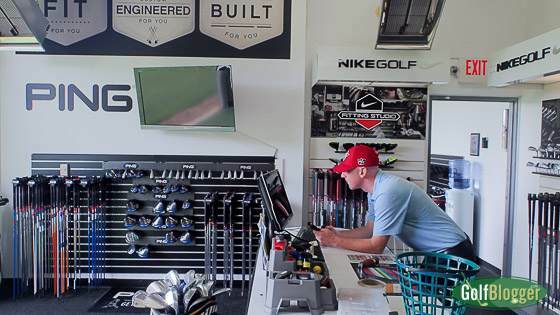 Wilson Golf’s Nick Geyer tested my performance with my venerable TaylorMade R7 XDs and then compared them to the Wilson Staff D-200 on the Trackman. The D-200s were several yards longer than my old clubs. The results would likely have been even better, but for the fact that I swung several miles per hour slower with the D-200s. I attributed that to some lack of confidence in the unfamiliar sticks. I liked what I felt with the D-200s, but hesitate to draw any conclusions. 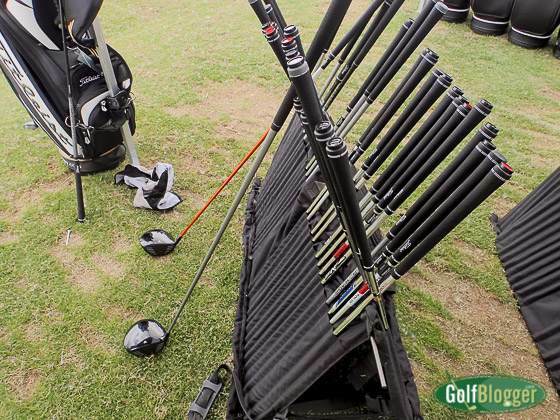 A brief Trackman session with balls hit off a mat is no way to assess a set of irons. Outside, I tried clubs in most of the pavilions. I was specifically looking for a driver that would help reduce the backspin and end the ballooning flight that costs me thirty yards on every hole. 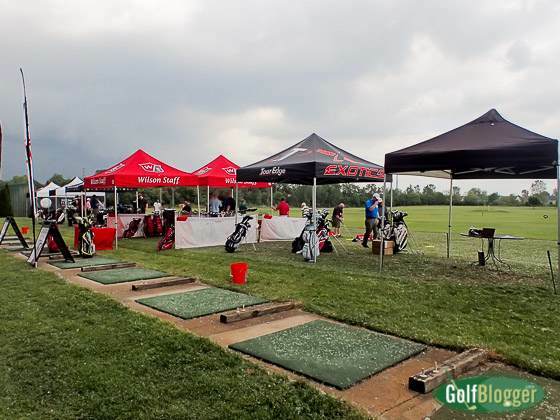 I tried a Wilson D-200, a Cobra Fly-Z+, a TaylorMade R15, a Tour Edge Exotics E8, and a Titleist something-or-other. The representatives at the Titleist booth weren’t particularly interested in helping and the name of the driver made no impression on me whatsoever. The Cleveland and Nike booths were just too busy for me to edge in. 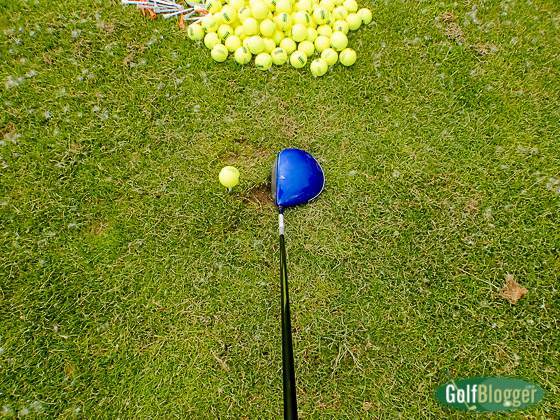 The Cobra Fly-Z did a good job of creating a penetrating ball flight with the weight flipped to the forward position. I also liked the Tour Edge Exotics E8. But the one that performed best for me as the Wilson D-200. With that, I was regularly flying the ball well over the 200-yard flag, with plenty of roll to the back of the range. The TaylorMade R15 did nothing for me. For whatever reason, it felt dead. So did the Ping G30. Again, the problem with such testing is that it is limited. What feels good with a dozen range balls on one particular day may be entirely different with a real ball under real course conditions. 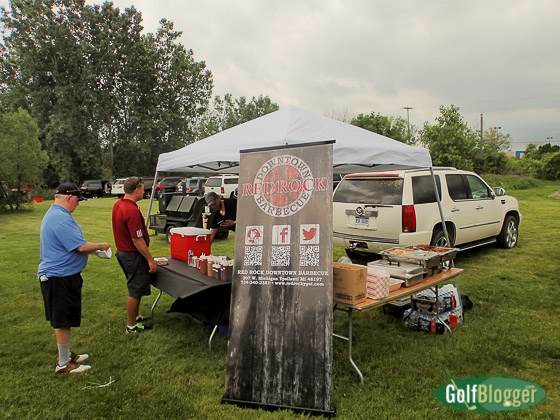 The demo day also had food from a local BBQ joint, Redrock, in Ypsilanti.